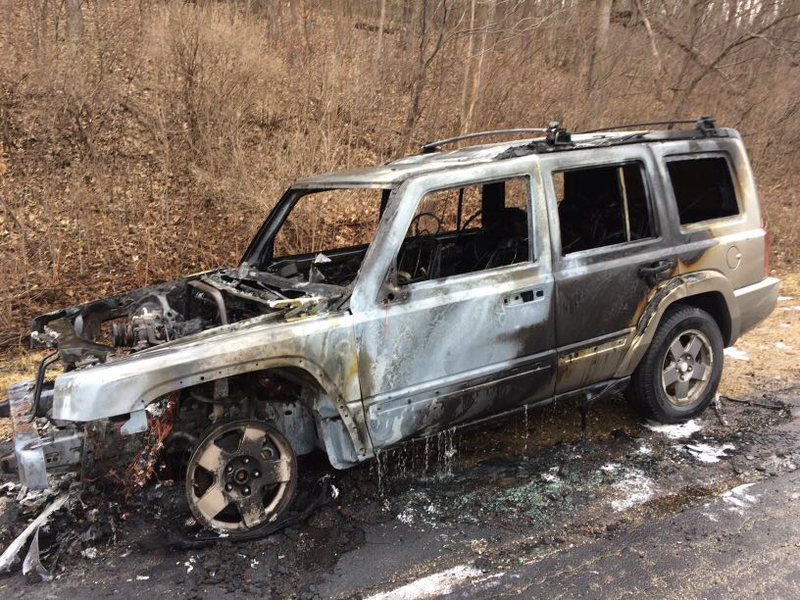 On April 7, 2019 at 4:11 p.m. the Vernon County 911 Dispatch Center was notified about a vehicle fire on U.S. Highway 14/61 south of Viroqua. Andrew H. Olson, age 41, of Richland Center was operating a vehicle westbound on U.S. Highway 14/61 when the dashboard indicator battery light came on. Olson also said a little smoke started in the engine compartment. Olson pulled his vehicle to the side of the road. Olson reports that vehicle suddenly shut off and heavy smoke and flames started to come from the engine compartment. Olson exited the vehicle and moved to safety. The first deputy on scene reported the vehicle was fully engulfed in flames. Viroqua Fire Department arrived on scene and extinguished the fire. Because the fire was large and close to the road U.S. Highway 14/61 was shut down for a short time while emergency crews worked. One traffic lane was quickly opened and motorists were able to safely move through the scene. The vehicle sustained heavy fire damage and had to be towed from the scene. This entry was posted by WRJC WebMaster on April 8, 2019 at 3:46 pm, and is filled under State News. Follow any responses to this post through RSS 2.0. Both comments and pings are currently closed.